11 Kod Funkcji 1 byte – zakres od (128 – 255 zarezerwowane dla odpowiedzi z błędami). 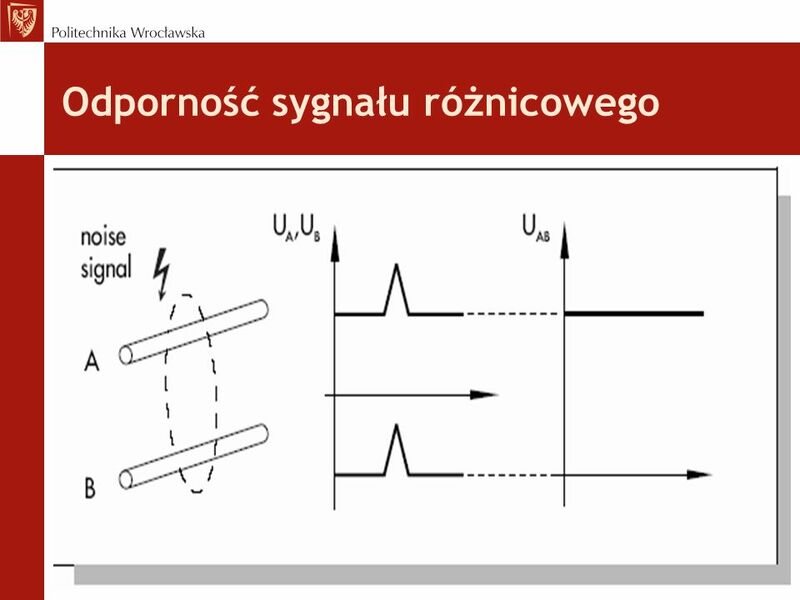 Pole function code określa akcję jak ą odbiorca powinien wykonać Function code "0" jest niepoprawne. 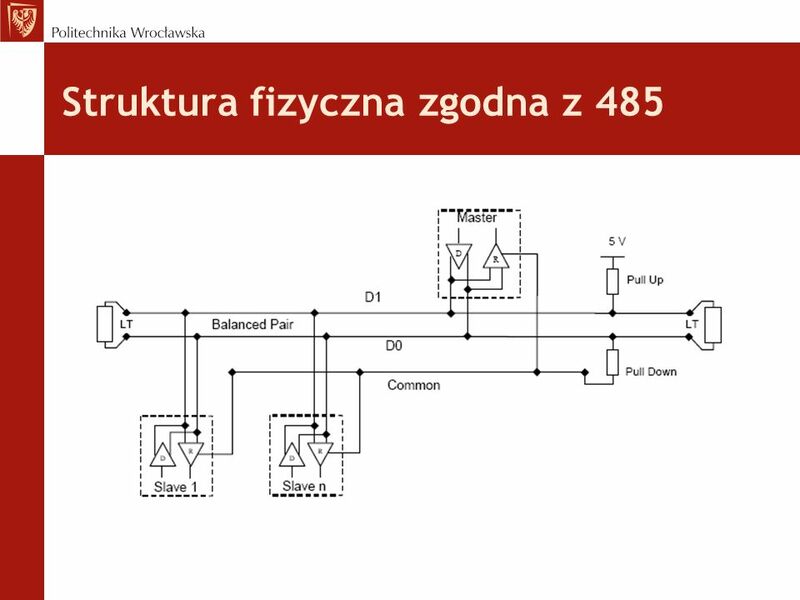 20 Reguła Master-slave Only one master (at the same time) is connected to the bus, and one or several (247 maximum number) slaves nodes are also connected to the same serial bus. 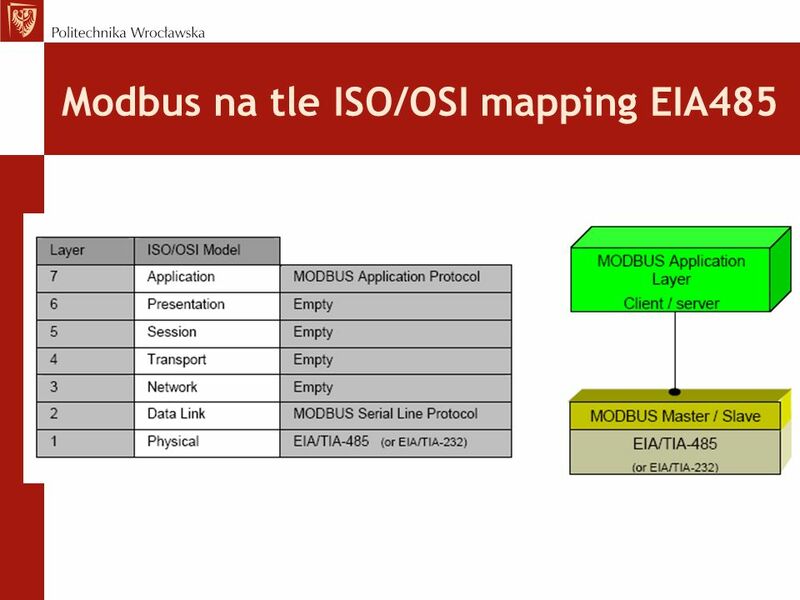 A MODBUS communication is always initiated by the master. The slave nodes will never transmit data without receiving a request from the master node. The slave nodes will never communicate with each other. The master node initiates only one MODBUS transaction at the same time. 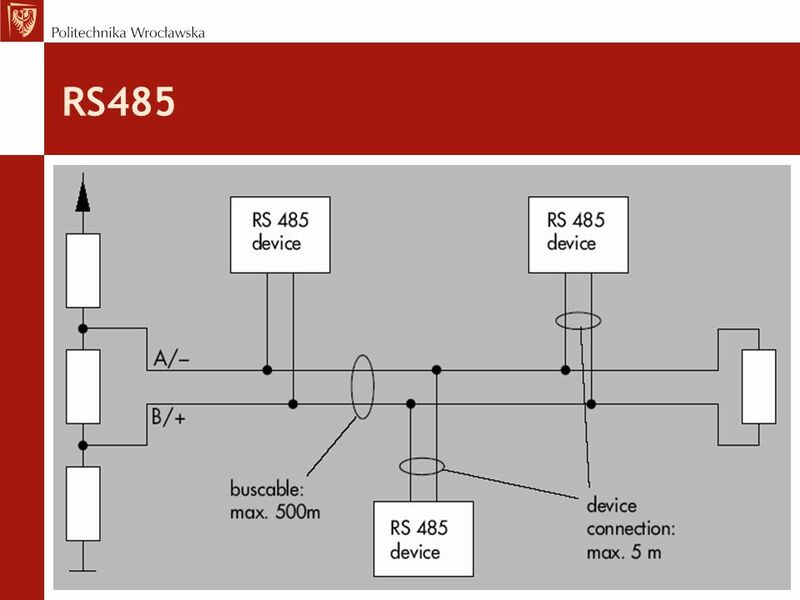 On MODBUS Serial Line, the Address field only contains the slave address. ASCII mode RTU mode Uwaga: The transmission mode (and serial port parameters) must be the same for all devices on a MODBUS Serial Line. 1. 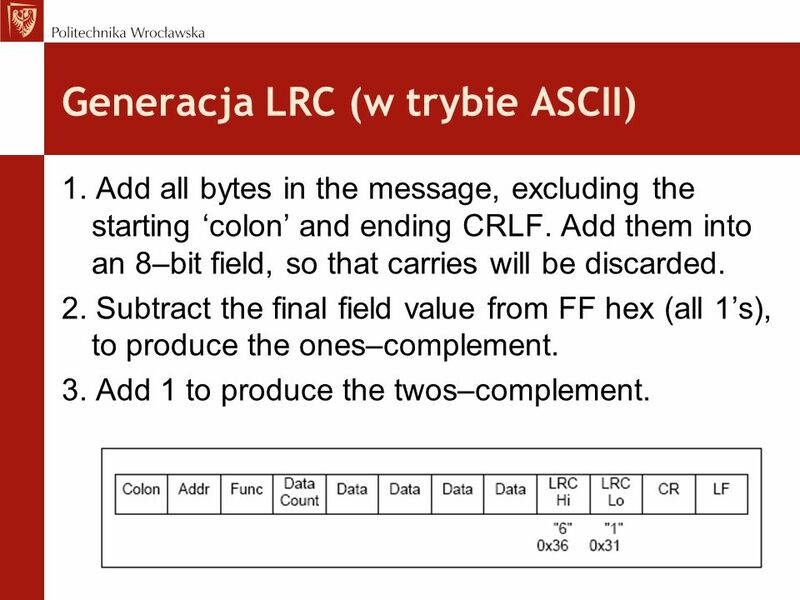 Add all bytes in the message, excluding the starting ‘colon’ and ending CRLF. Add them into an 8–bit field, so that carries will be discarded. 2. Subtract the final field value from FF hex (all 1’s), to produce the ones–complement. 3. Add 1 to produce the twos–complement. 32 CRC 1. Load a 16–bit register with FFFF hex (all 1’s). Call this the CRC register. 2. Exclusive OR the first 8–bit byte of the message with the low–order byte of the 16–bit CRC register, putting the result in the CRC register. 3. Shift the CRC register one bit to the right (toward the LSB), zero–filling the MSB. Extract and examine the LSB. 4. (If the LSB was 0): Repeat Step 3 (another shift). (If the LSB was 1): Exclusive OR the CRC register with the polynomial value 0xA001 ( ). 5. Repeat Steps 3 and 4 until 8 shifts have been performed. When this is done, a complete 8–bit byte will have been processed. 6. Repeat Steps 2 through 5 for the next 8–bit byte of the message. Continue doing this until all bytes have been processed. 7. The final content of the CRC register is the CRC value. 8. 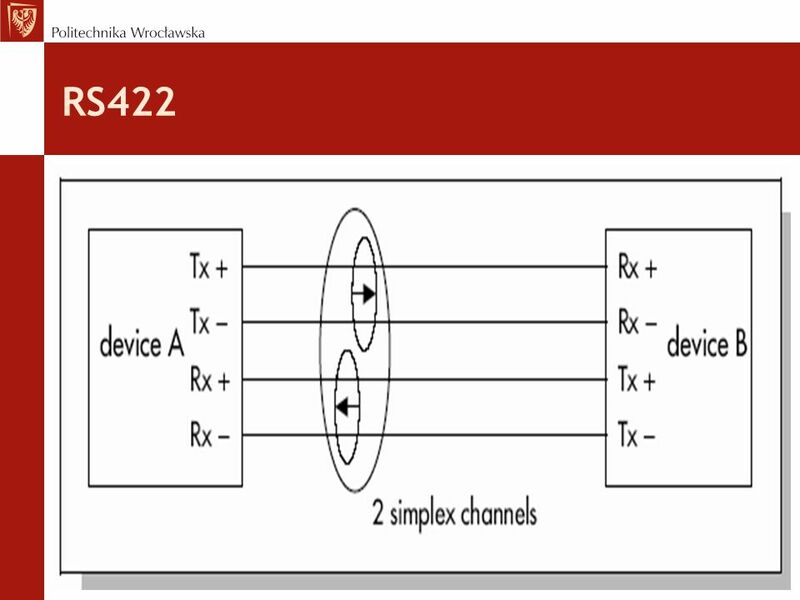 When the CRC is placed into the message, its upper and lower bytes must be swapped!. 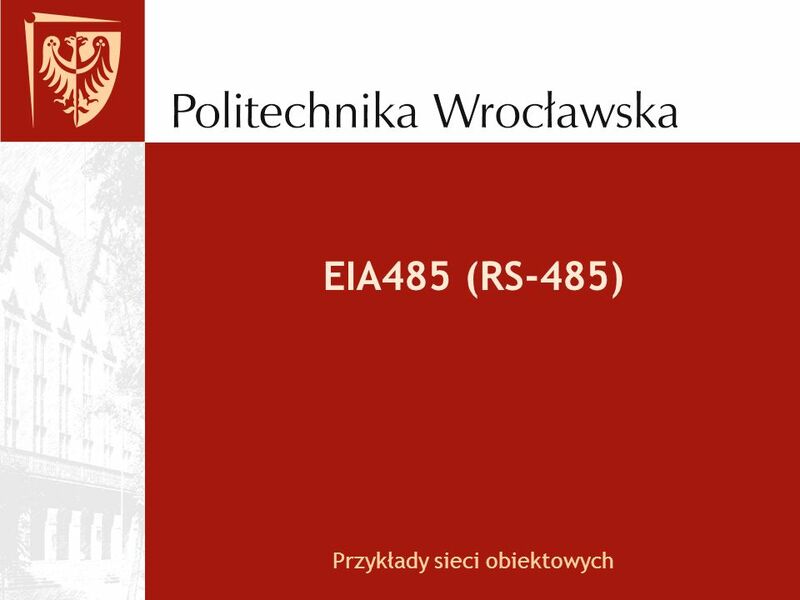 Pobierz ppt "Przykłady sieci obiektowych"